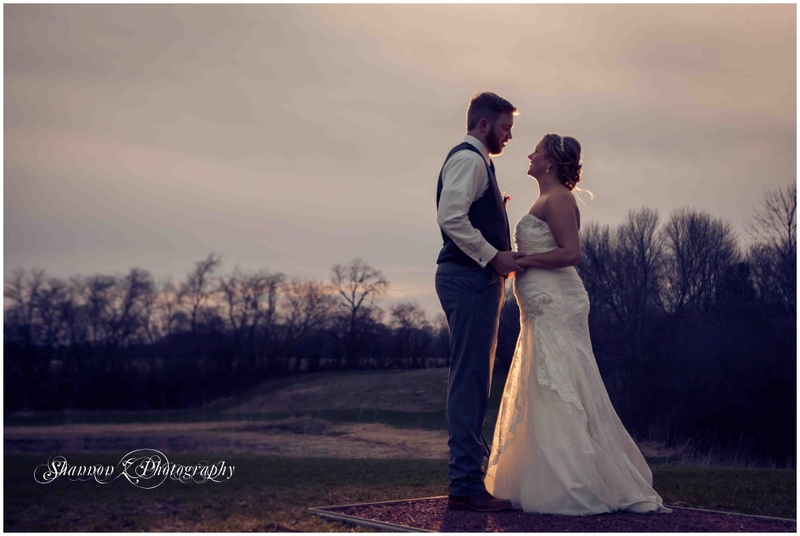 Ashley, Keith & their son Sawyer were blessed with an incredibly gorgeous spring day for their wedding at Rustic Manor in Hartland, WI on Saturday. These two are so incredibly laid back and easy going, something I learned during our engagement session last April - which always makes for a great wedding day! Not to mention an absolute perfect venue for their rustic theme. Ashley is super talented and crafty, and made all the decorations & bouquets in the months leading up to baby Sawyer's arrival, and during her maternity leave. Amazing, right? She did an incredible job! They had a friend do all the girls hair on site and maid of honor, Kirsten, did the girls make up. This was a perfectly executed DIY wedding!